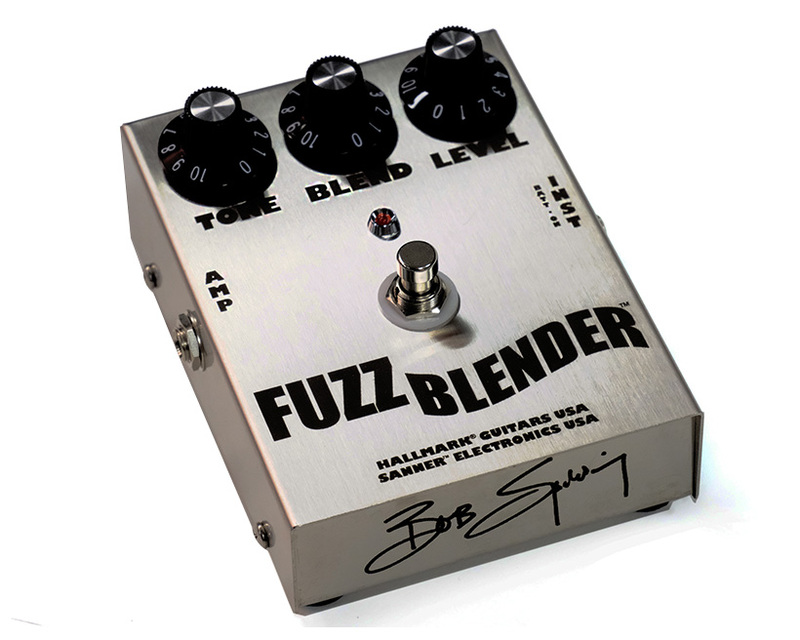 Ed Sanner has done it again with the new FUZZ-BLENDER fuzz pedal by Hallmark Guitars USA! It is my sincere pleasure to be working with Ed Sanner once again on a very exciting limited edition fuzz pedal! Most of you may already know Ed Sanner designed The Mosrite FUZZrite in 1965 which was the second fuzz effect to be produced in history and used on countless recordings by legendary artists. We have taken the fuzz sound Ed is known for and now employed it in a whole new way! Now, that legendary fuzz sound can be used in any live and recording situation as subtle or over the top full on as you decide to give you so much more flexibility. This pedal now can also be used on bass guitar as well as a standard 6 string guitar. Blend in any other effects you wish and have complete control. We have also teamed up with Mr. Bob Spalding of the Ventures! 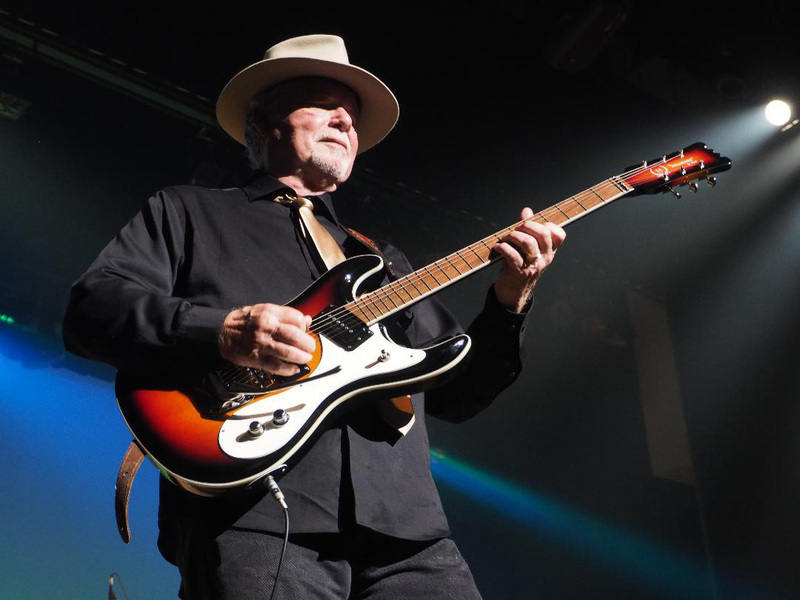 Bob is a veteran guitarist who has played guitar and bass in the studio and live performances with the Ventures for over 30 years, as well as other noted bands on major label recordings! 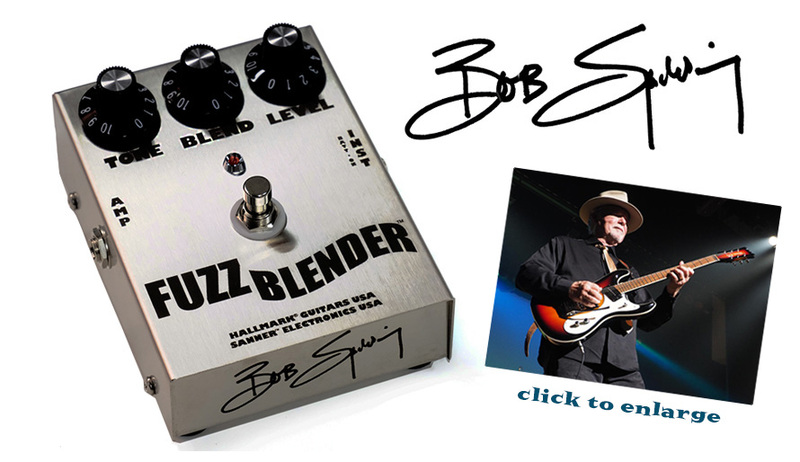 Bob has used numerous fuzz pedals over the years and truly believes the FUZZ-BLENDER tops them all! See and hear Bob with the FUZZ-BLENDER both in the studio and live with The Ventures. 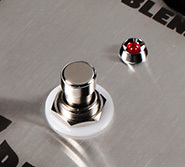 Each FUZZ-BLENDER pedal is mounted in a solid brushed "stainless steel" can for lasting beauty and durability. The artwork is lazar etched on each can so it will last a lifetime. 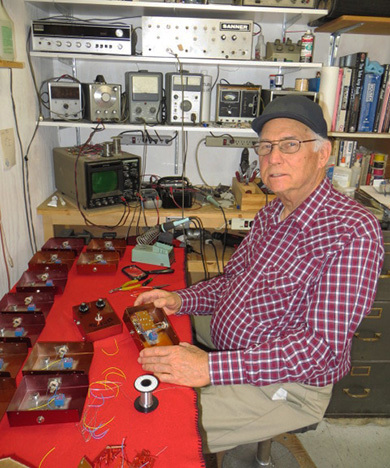 Ed Sanner builds each one of these himself by hand,in his shop in Bakersfield, California USA just like the old days. 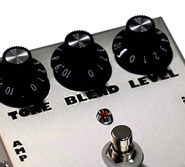 Watch our demo video here to hear the fuzz quality, sustain and a variety of tones. 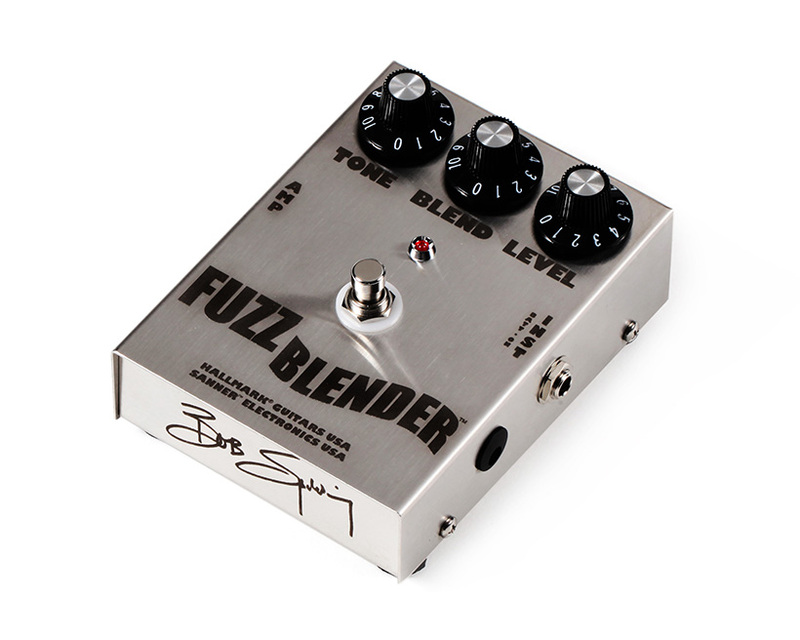 Thank you for your interest and I hope you too, grab one of our limited edition FUZZ-BLENDER pedals! Ed Sanner in his Bakersfield Ca. shop.